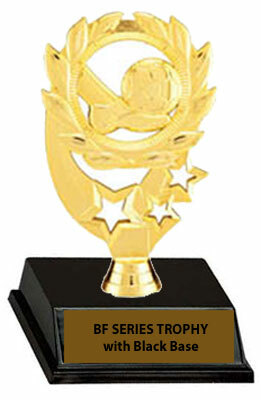 Welcome to H & R Trophies, if you are shopping for soccer trophies you are at the right place. 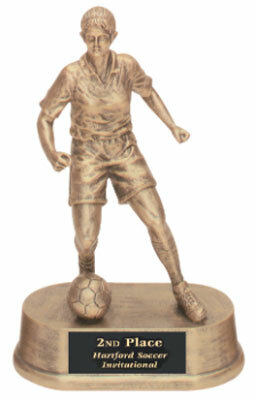 Our selection of girls and boys soccer trophy figures offers a variety of style and price options. This is great if you want us to use a specific soccer trophy figure on your soccer trophies. You can choose the height and column color you prefer and the soccer trophy style (single post, double post, etc.). 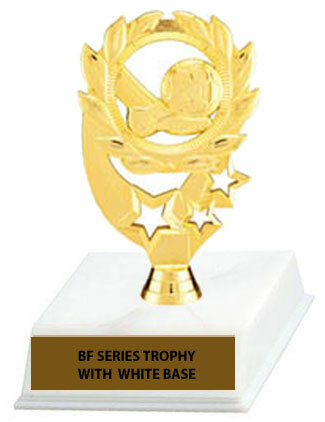 Or you may prefer to purchase the soccer trophies we have on sale. They are available in red or blue columns in girls or boys soccer trophies. 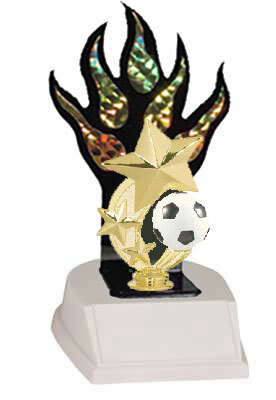 These soccer trophies include 40 characters of FREE PRINTING if more is needed it is only 7 cents per character. 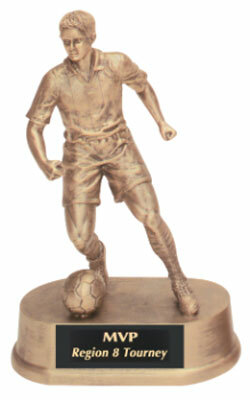 Please click on a soccer trophy figure below for more information and to make your purchase. Resin Soccer Ball on rb08 base. The SBR103 can be autographed. The SBR153 can be autographed. Be sure to check out all our soccer awards.